Hey, I'm MableZaphire. 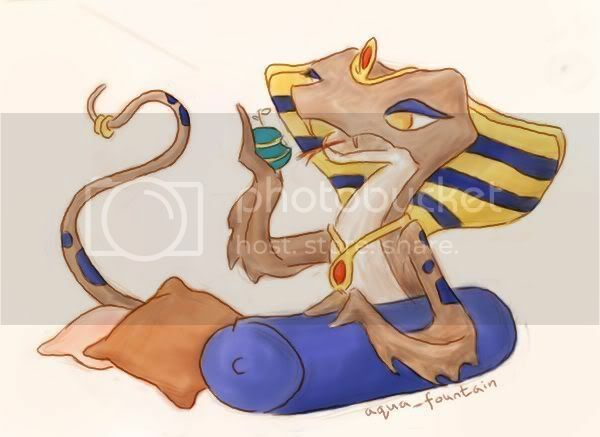 Along with CottonRay, I was Aquas first created pet. 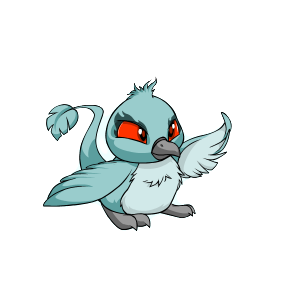 Also, being Aqua's first pet to have been entered in the BC, and have been pretty successful in it - *prods trophy* - I'm her art pet. Yey me, eh? 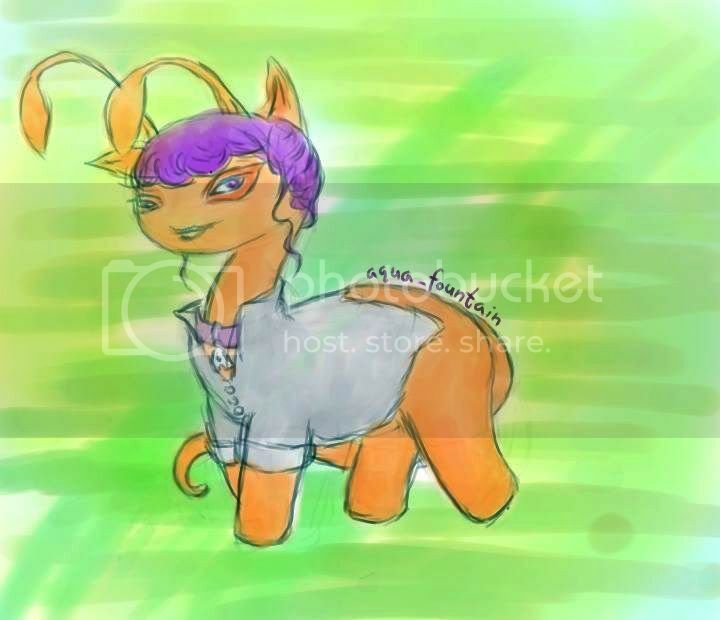 So basically, I display her Neopian pictures, the ones that she bothers to upload, on my page. Which we started on the 7th of August 2008. 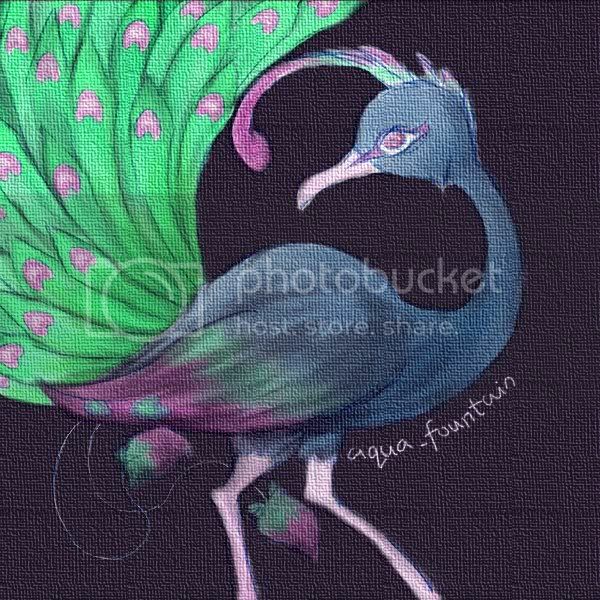 And if anyone's wondering, about Aqua, she's 16. But we call her Aqua. Pronounciation guide on her lookie. Uh, her name is also Sadhira. So for her birthday last year at the end of July, she got a tablet. She's been using two programs she got off the internet with it, but she's doing well..
And by the way, if you steal anything, you are so gonna be... Oh we'll be flattered our art is good enough for you to just take. But more than that, you'll be classed as an idiot who can't draw your OWN pictures to save your pathetic little life, and is sad enough to go around stealing others'. Got it?? Good. You have our permission to display our pictures, though, as long as you don't take off Aqua's username, give full credit and link back. For the benefit of non-Neopians who can't tell the difference between one pet species and colour to the other, or recognise petpets and other items, and Neopians alike, we linked each thing to the "official" large picture. I'm kinda suprised Aqua managed to dig out the URLs and was able to link them properly and easily, but still can't do a decent layout. I mean, really.... But this page and links are now horribly outdated, and I apologize for that. Aqua's lazy. Which also explains why she doesn't do art requests. Ok. At the start, there's purple box which has my first BC entry stuff. The picture after that was done many, many months later. It was done straight on the computor, pure digitalness, and is bigger. The picture below that was done after. And so on. So it goes from top to bottom. Yep. See, we tried bottom to top, so the newest picture was the first you see, but.. We have our reasons. My first BC entry. This was when I was still a - somewhat pinkish - Red Zafara. It had been up for critique, and Aqua had painstakingly put together this "progression box". After all the trouble, we decided to keep it as it was. Oh, this goes bottom to top. 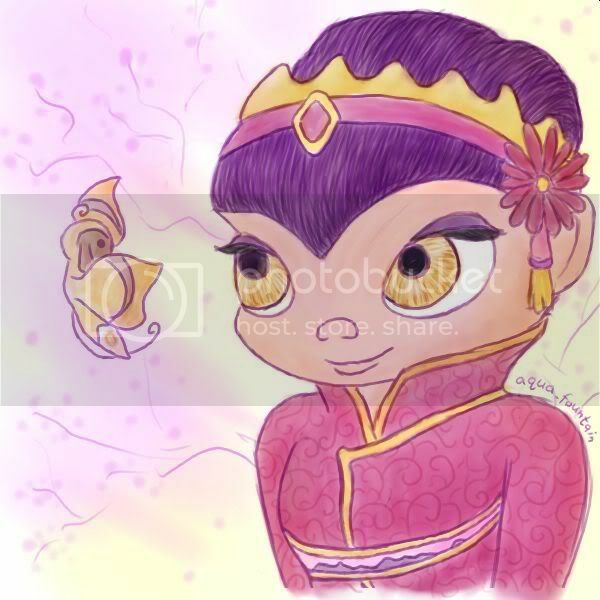 An Orange Aisha. 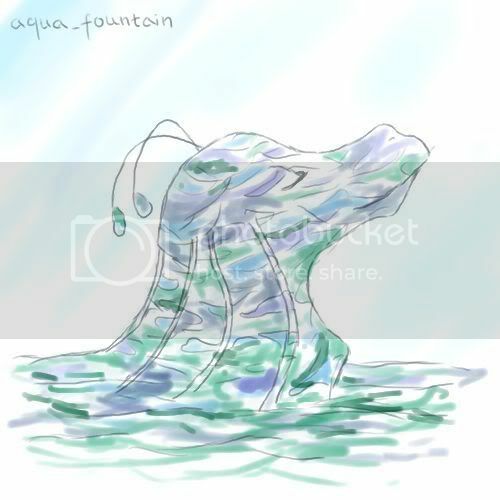 She had the honour of being the first Neopet Aqua ever drew on her tablet. 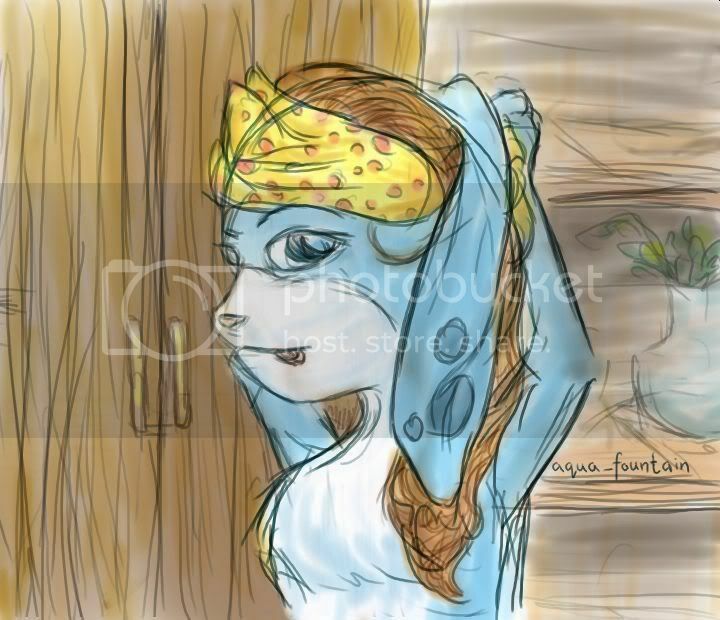 This is a Blue Zafara a tying bandana around her head. 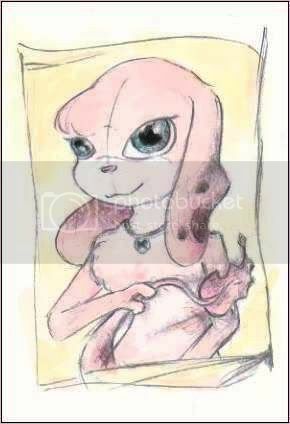 She's a young Plushie Gelert. 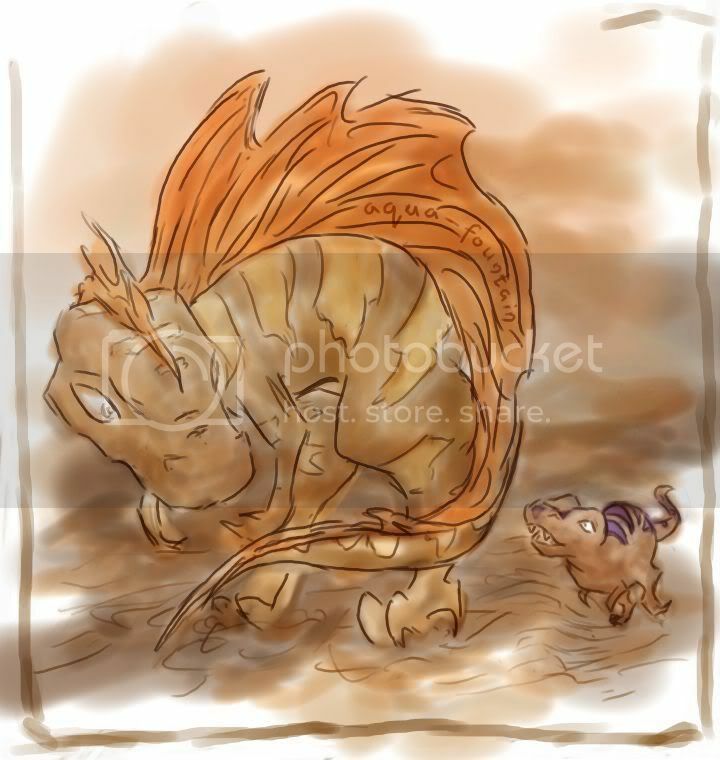 This Tyrannian Krawk just managed to get his tail away from the Niptor following him. We got into the Art Gallery! Pathetic quality, but still. 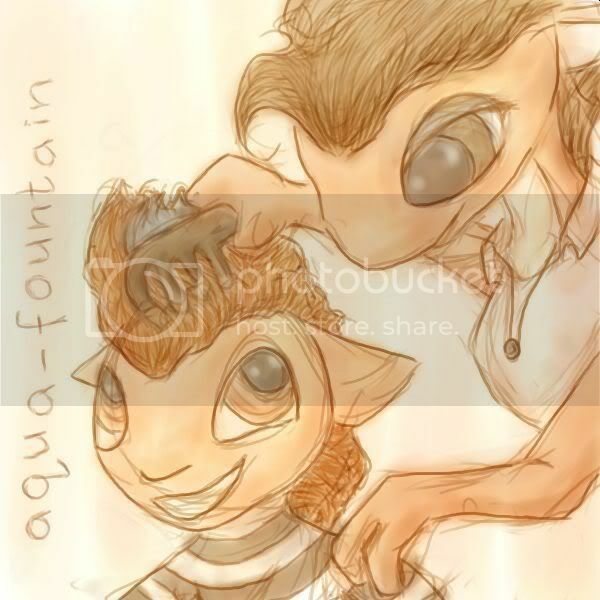 A Baby Kyrii having his hair combed with a Kryrii Comb by his mother. An Electric Meerca and his little sister. Even though the head's way too big, this Mynci managed to get into the Art Gallery on Mynci Day, making it my fourth time so far. An Electric Shoyru. ...In quite a different style. This Desert Hissi is enjoying a Tchea Fruit. 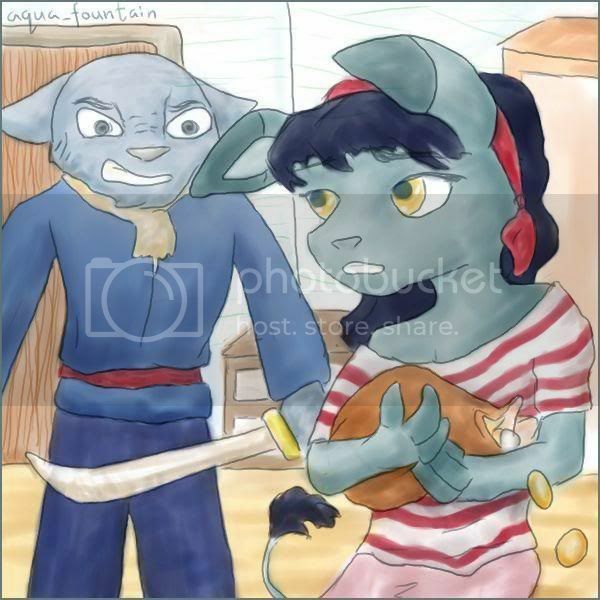 This Pirate Bori was caught stealing from her Kougra Captain. And he is angry. A Camo Draik swimming in the water and enjoying the sun. 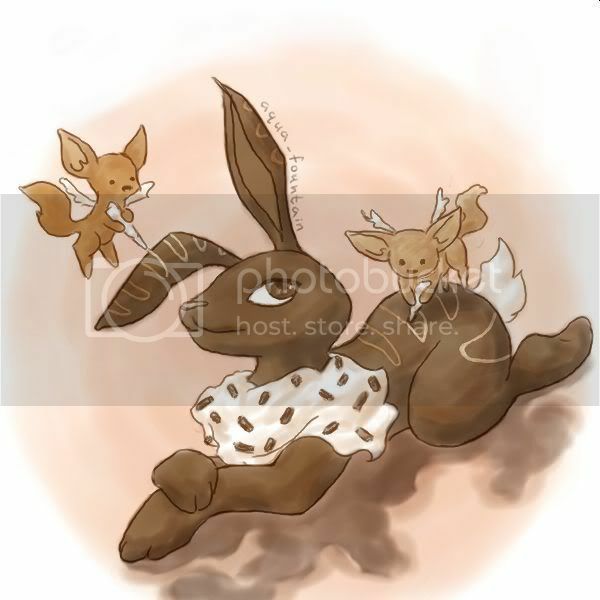 A Chocolate Cybunny having her icing redone by two Brown Faellies. Yey! After quite a while, this finally got displayed at the AG. It was originally submitted for Chocolate Day, but Aqua put it forward too late. At least it got in eventually. This was the third time I got in to the Art Gallery. 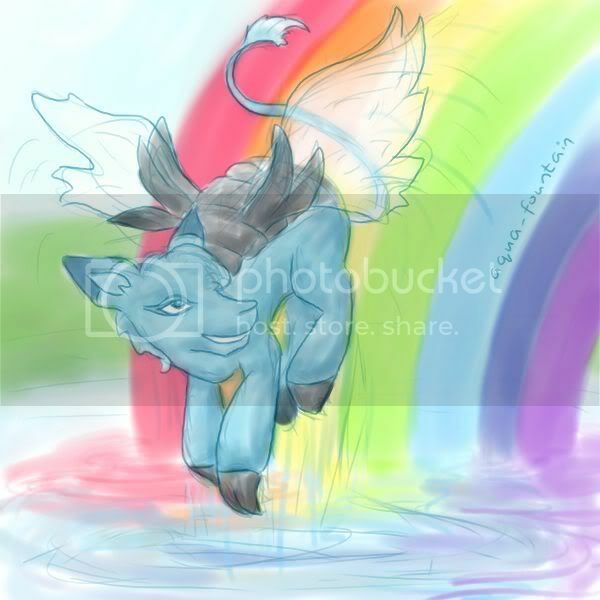 A newly painted Faerie Bori coming out of the Rainbow Pool. Right, Aqua and I feel we owe an explanation here. Firstly, there's not much originality in the composition and a bit of lack of story, which I feel is there in Aqua's other pictures. Also, what happened to the lovely soft drawing style? Well, Aqua downloaded another drawing program yesterday, which is really different to the other one we use. 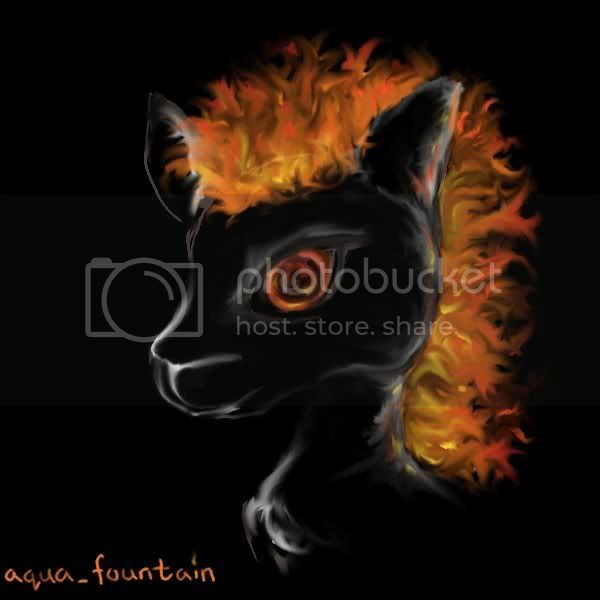 She thought she'd have a go at drawing fire, so she did a Kyrii. 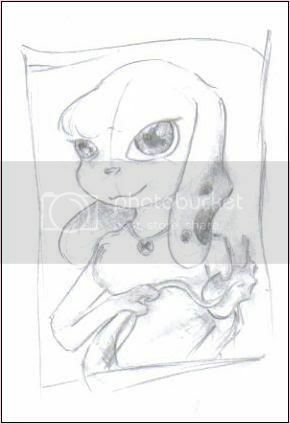 When she was done, she didn't want to try again in a better pose. So we thought we'd put this one up. Hope you don't mind the difference, and still find it interesting to look at. Aqua added this canvas thing to make the picture look more like a painting. Do tell us if you think it's over the top. 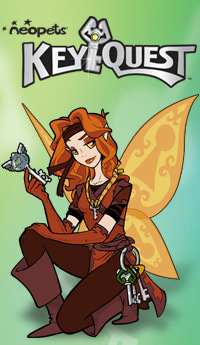 This is just a preview of my picture of Bree the Key Quest faerie. It was drawn for someone's future KQ guide's banner. No background yet. Her face is blank because when Aqua added her features, it doesn't look a thing like Bree. We know her legs look a tad amputated, but they looked fine when Aqua first drew them. 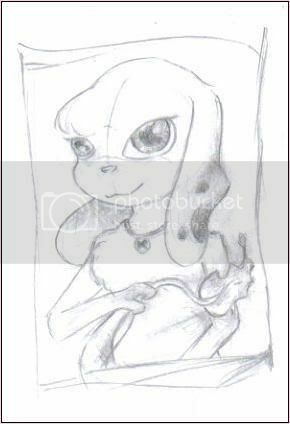 Aqua's original reference didn't show Bree's lower body, so she drew her legs folded under her. But she hadn't seen that flap thing... It only looks odd 'cause Aqua had to add it on. 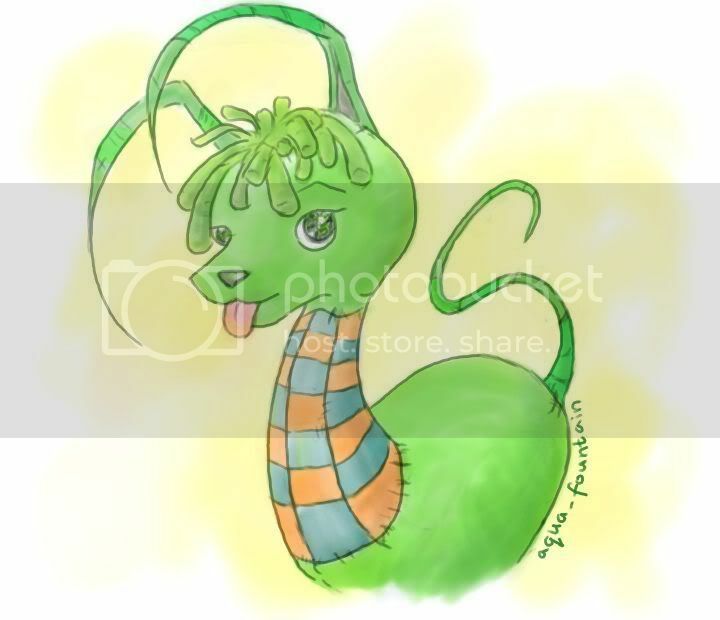 A Camouflage Zafara wearing a Berry Zafara Scarf in the forest with a little Light Faerie. Your pick whether the Zafara just came across the Faerie, or if the Faerie was leading her all along. 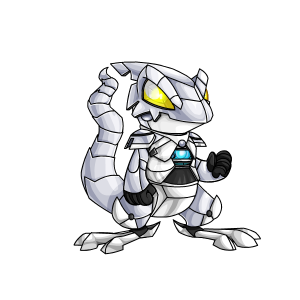 The pet here resembles me, being a Camo Zafara like me with bright blue eyes. Again, I tried out another style. This was done using Gimp, and the main brush I used was "Pencil Sketch". No smudging or filtering whatsoever. 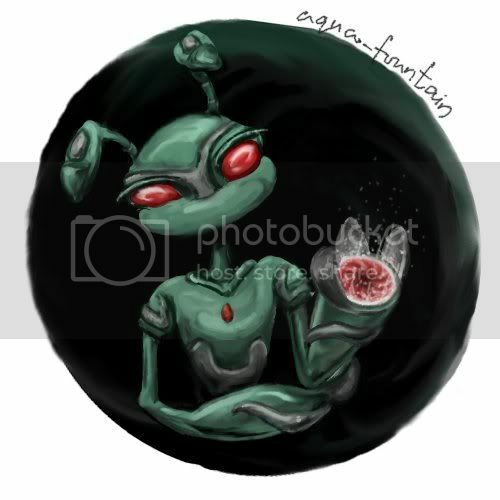 This Baby Buzz on a plate was originally done for Aqua's friend. 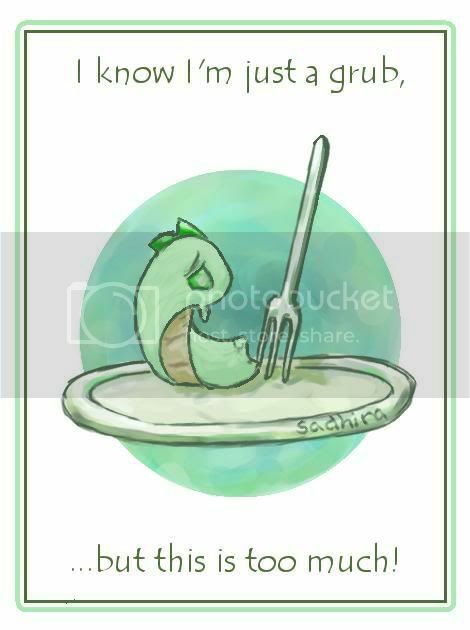 Then she got this idea and added the text and frame. 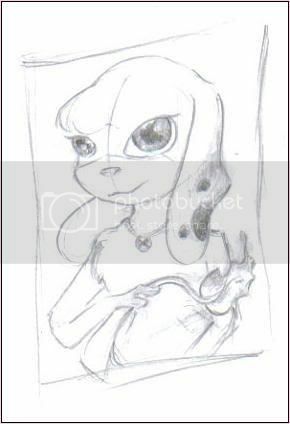 It's sort of a single framed comic - we're hoping it'll get into the Neopian Times. 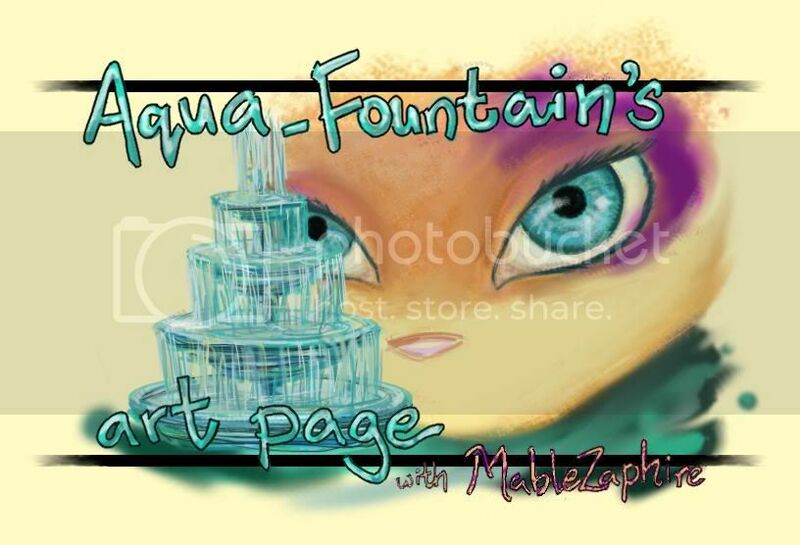 Aqua figured she'd put her real name instead of "aqua_fountain". It's shorter, better than using an alias, and people would still be directed to her if they searched "sadhira" in the Neopian search bar because that's the name of one of her side accounts. 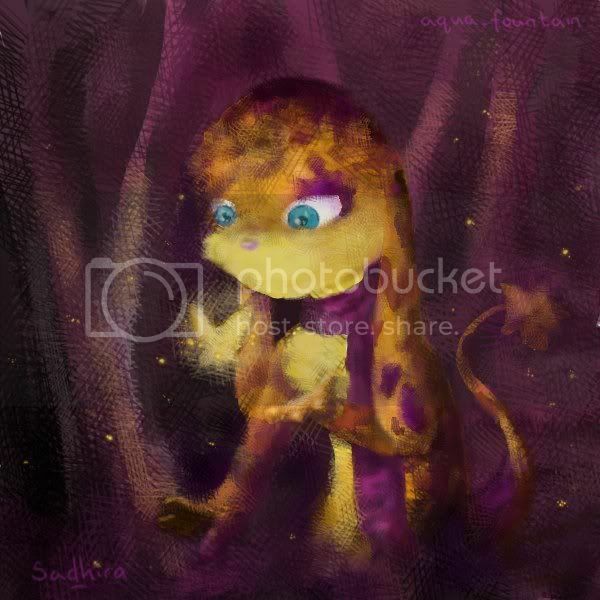 This is a picture of a Yellow Xweetok on a branch eyeing some Carnapepper, a Neopian fruit. 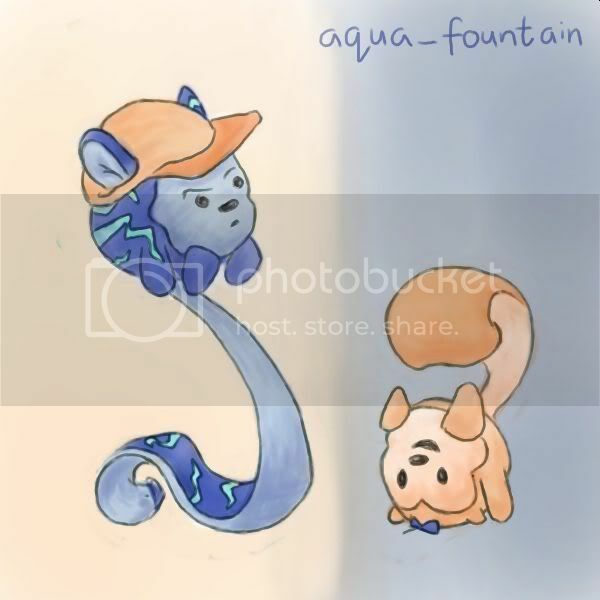 After drawing the Zafara that was based on me, Aqua moved on to CottonRay, my elder brother by an hour, and Aqua's first pet. His name came from a typical Xweetok's fluffiness, and "ray of sunshine". 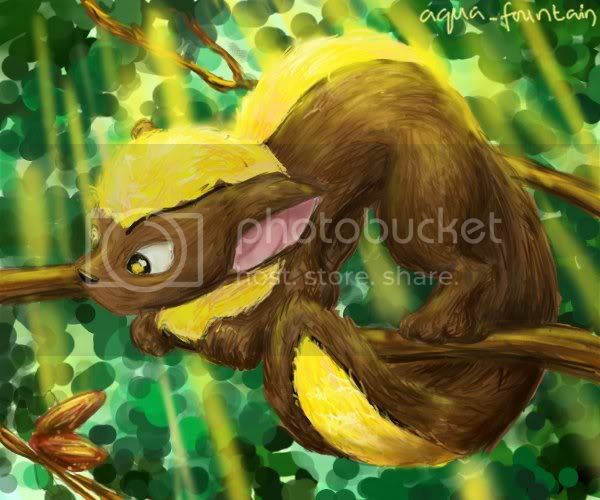 So the main theme here was to have rays of sunlight sort of glinting off the yellow fur. The fruit thing was added just to make the Xweetok do something. It got into the Art Gallery again! 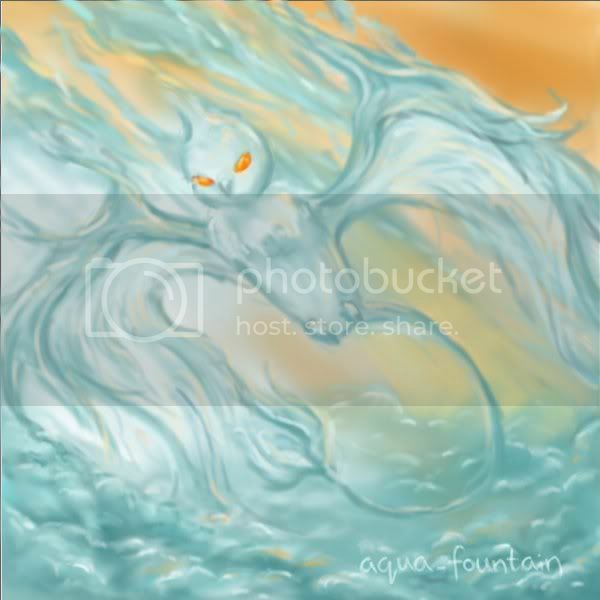 And Aqua's picture was shown on the News Page for once. Unlike all the other drawings Aqua's been doing recently, she did a strictly posed BC-only picture. This is so she could avoid having to make the awful decision between submitting it for the BC or the AG, which is actually what happened with CottonRay's Yellow Xwee picture above. She was going to put it in the Beauty Contest, but decided to leave it for the Art Gallery. Aqua's first time trying to draw metal. It won first place overall! Aqua's dream in the BC.. She advertised constantly the whole week, and so derserved it. But now Cocorro went from having less - none, in fact - to more trophies than me... I only have one, being only entered once, but hey. Corro got two golds at once after all. See the vote results here, it was really close. An orange-eyed Ghost Pteri flying in the sky. 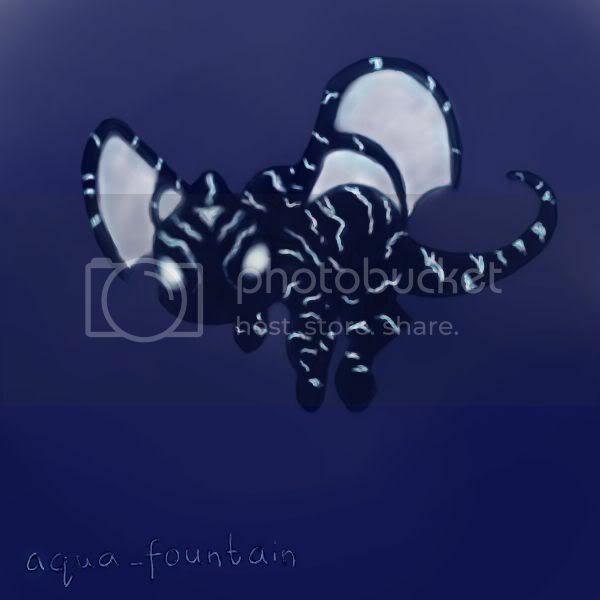 Aqua's first time trying digital clouds. This was also her fastest picture ever. It was done in less than three hours, instead of three days. She really has improved with using her tablet. But we hope that less time taken doesn't mean less quality. The body is a tad too long, but oh well. 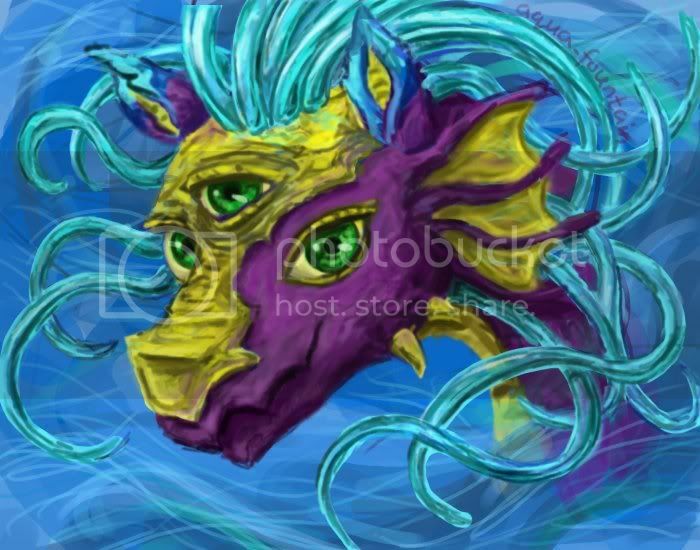 A Mutant Peophin in the water. Mutants aren't that bad, after all, are they? 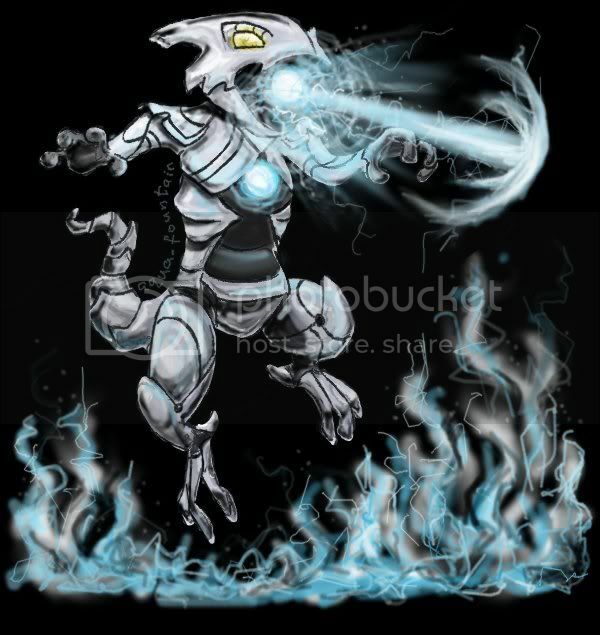 At least some aren't..
A Robot Techo shooting some kind of energy beam thing with a pool of sparking energy fire below it. Fear the Robots. 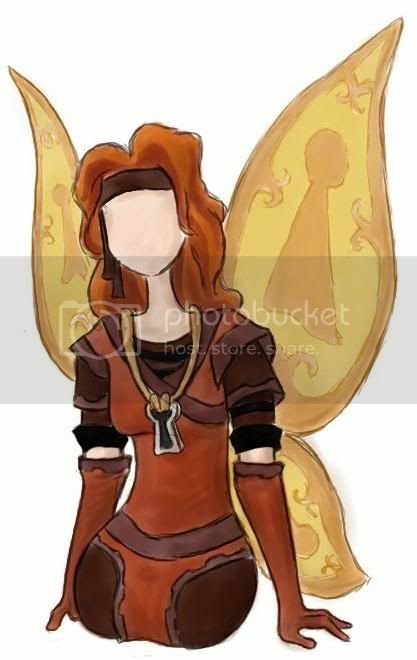 A Fire Faerie wearing some of the whacky items she asks for in quests. 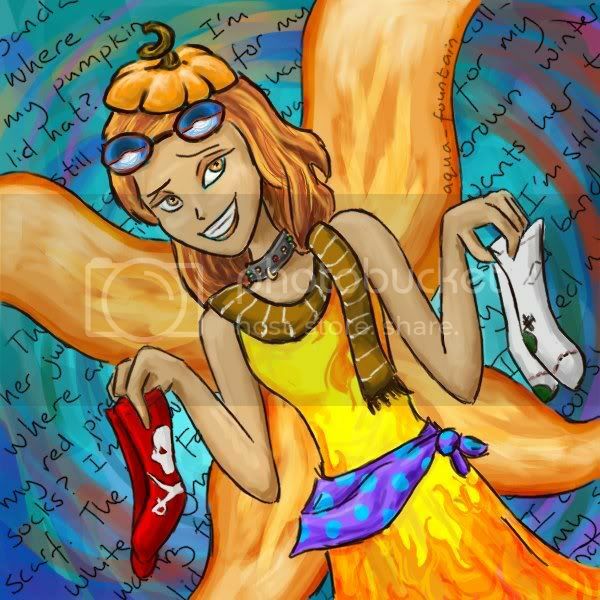 She's wearing a Pumpkin Lid Hat, Cool Shades, Black Jewelled Collar, Brown Winter Scarf, and Blue Bandana, and is holding a pair of Red Pirate Socks and Torn White Gym Socks. She seems to like socks.